The use of plastic bags has been banned on Makogai Island in Lomaiviti. This was declared by the Minister for Fisheries Semi Koroilavesau who is currently touring the island. 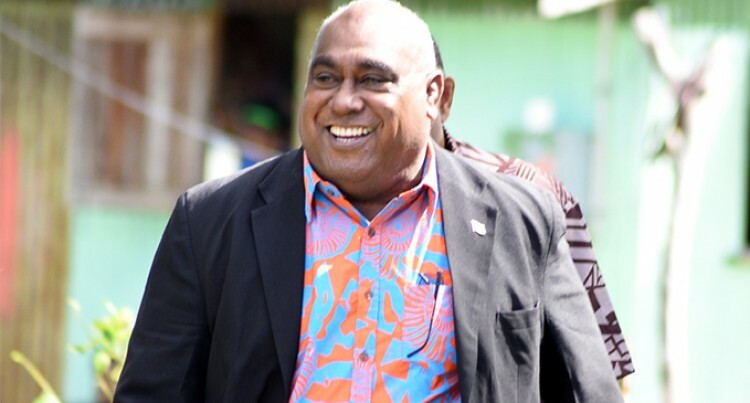 Minister for Fisheries Semi Koroilavesdau at Kiuva Village in Tailevu on June 27, 2018. Photo: Ronald Kumar. The use of plastic bags has been banned on Makogai Island in Lomaiviti. This was declared by the Minister for Fisheries Semi Koroilavesau who is currently touring the island. In addition to this, the island was also declared a Marine Protected Area (MPA). Mr Koroilavesau stressed the need to protect the islands’ resources and environment for a sustainable future. “I shall reiterate that the resources are loaned to us by our future generations, they are looking at us to pass onto them all that we had inherited from the older generations,” Mr Koroilavesau said. Mr Koroilavesau also planted 50 yasi (sandalwood) trees in partnership with the Ministry of Forestry through their Plant 4 Million Trees programme by 2022. “It is important for everyone to note that planting trees is a mitigation factor in terms of deforestation,” he said.